I thought I would share my current project. This poor set has faced some hard wear and tear from a family with young children. It is in the process of being revived, painted with Eco friendly Autentico paint, of course waxed to seal. The seat pads have been reupholstered with Clarke and Clarke ~ Rosebud. Do you have a set you would like revived but don’t have the time, space or don’t know where to start? 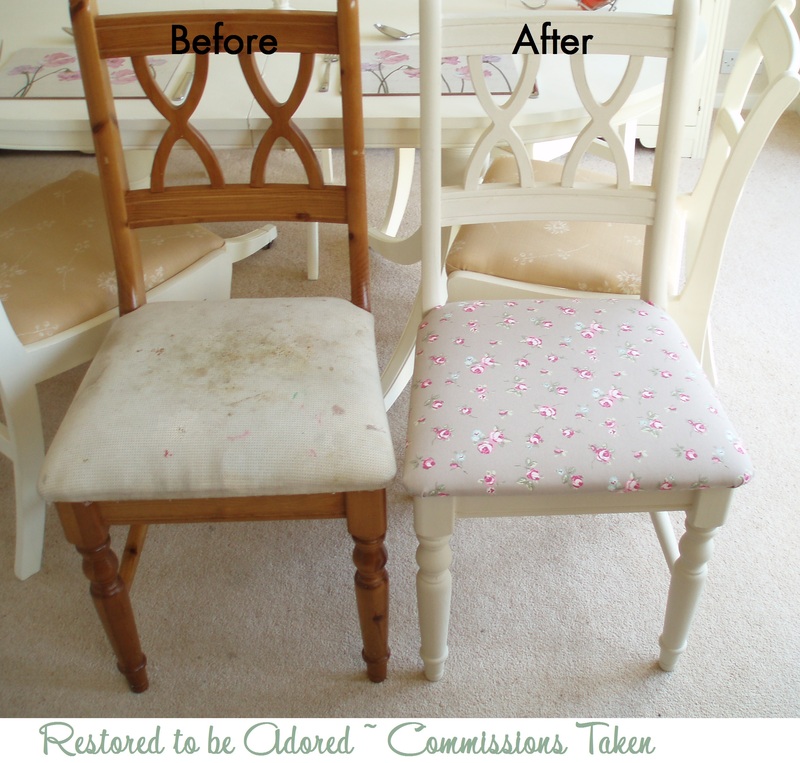 At Restored to be Adored, not only do we supply restored items but we also offer a service to revive your existing furniture to suit your own specific style. We offer a collect & return service for items you already own. Alternatively you can commission us to help you find the perfect piece, we can then style it to suit your particular taste. Next Post We’re all going to a fair tommorrow, fair tommorrow, fair tommorrow….